Ryley and I aboard the Wound Tight in 2015. 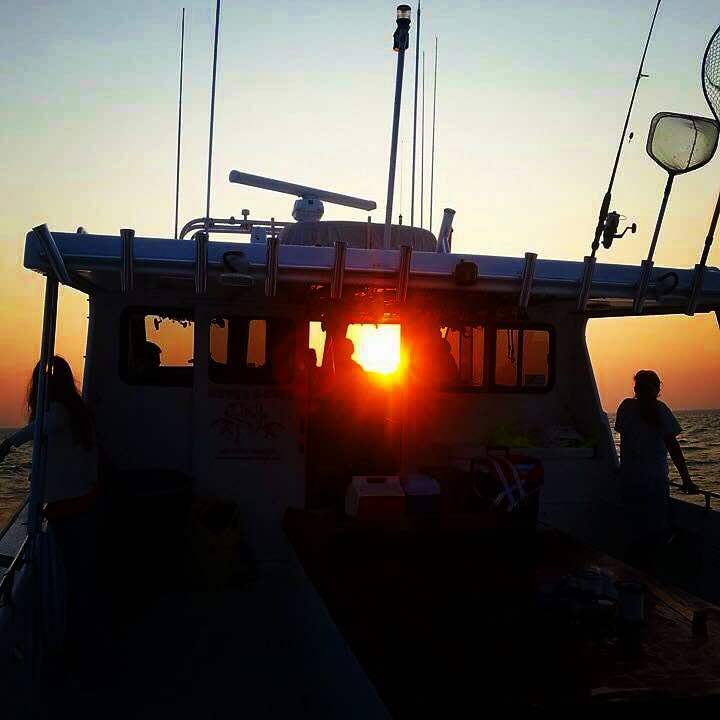 Well it's about that time of year again... time for some striper fishing! 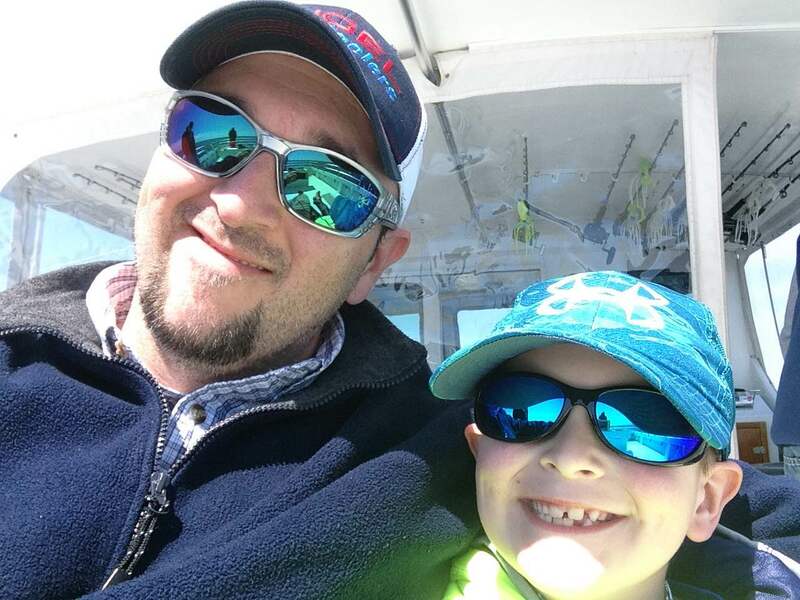 For the past three years I have been fortunate enough to be able to take my kids out for striped bass on a charter boat in the Chesapeake Bay. Ryley catching, tagging and releasing "Humpback". It all started when Ryley joined the Maryland Youth Fishing Club. 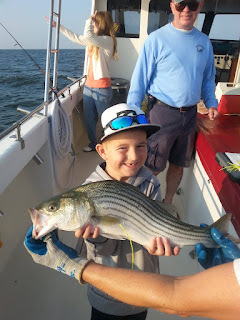 Not only did he receive a cool patch but we also received an invitation to go out on a charter boat and help catch, tag and release striped bass for the Maryland Diamond Jim Tournament. That first trip out was memorable to say the least. 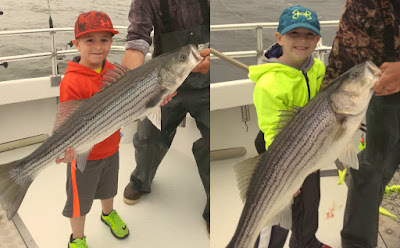 We went out on the Wound Tight in 3 ft chop and tried our best to catch some stripers. Of all the people on the boat, save the captain and mate, we were the only ones who didn't get sick. Shortly after venturing out the captain turned the boat around and took us in. We didn't even catch a fish! The next year the wonderful people at the Maryland Fisheries Service took pity on us for the horrible time we had the previous year and let us go out on the Never-E-Nuff, We had a great time and the kids caught well over 60 striped bass and half as many bluefish! Ryley with his 2014 and 2015 trophy striped bass.